Serves as a non-voting member of the Showcase Selection Committee. If unable to attend, works with the Regional Business Networks Coordinator to determine an appropriate and qualified volunteer to serve in this capacity. Oversees the Roving Artist showcases. Schedules acts in each of the showcase categories and forwards necessary information to NACA® Office per established times. Schedules load-in, load-out, sound checks and performances per standard production schedule provided by NACA® Office. Communicates these schedules to the Office for timely dissemination of standard NACA® Showcase Letters of Intent to respective associate members. In collaboration with the Regional Volunteer Development Coordinator, recruits and selects volunteer Stage Crew. Supervise the volunteer Stage Crew in collaboration with the contracted sound and light company. Coordinates and supervises the presentation of the showcases at regional events as per printed policy, recruiting additional volunteers to assist on site as deemed necessary. Communicates special A/V and equipment needs (LCD projectors, pianos, etc.) to the designated meeting planner. The Showcase Production Coordinator must not be a current or former employee or intern of an NACA® associate member firm or agency, or plan to be employed by or be an intern for an NACA® associate member firm or agency within the next NACA® fiscal year. The Showcase Production Coordinator should be available during the week immediately following the Showcase Selection Committee meeting to complete showcase production scheduling and communication to the NACA® Office. If the volunteer changes jobs during the position’s term, the new school must also be an NACA® member and provide a statement of support. 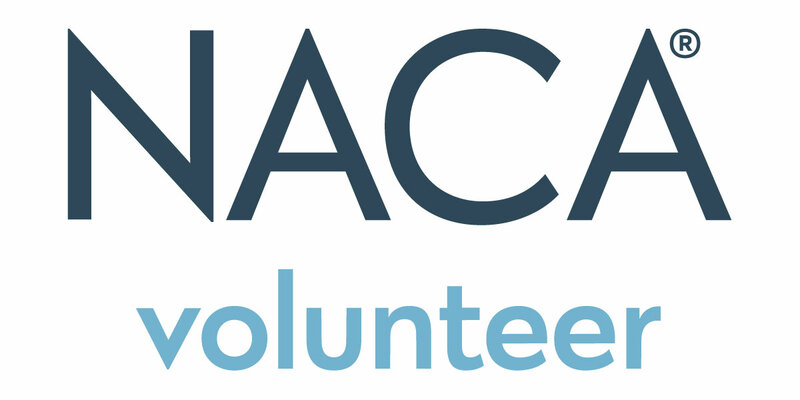 The NACA® Office and National Volunteer Development Coordinator must be informed of this change and the letter of support must be received within 30 days of hiring. Lodging and meals are provided for one night prior to and the duration of the regional conference. May receive support to attend mid-year planning meeting. Conference Chair and NACA® Office will confirm level of support.